Today was like most other Sundays: church in the mornng and then time to eat. 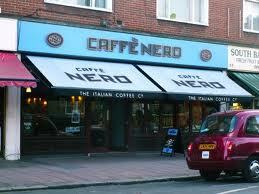 Except unusually for a Sunday, today we had a sandwich in Cafe Nero for lunch. We were visiting our daughters in London, and we had eaten well on Saturday evening. All was well with my sandwich until I tried to cough and clear my throat. Quickly it became apparent that I was choking. It's one thing hearing loud stridor in a patient, and quite another to be the patient. I appeared to be making the most deafening rasping noise as I tried to breath in to facilitate my cough. The harder I tried to breath in the worse the situation got, as normal nreathing was becoming impossible. By now I was outside the cafe and beginning to be in serious bother. Fortunately I was slapped on the back several times by various family members and even resorted to a finger down my throat (my own finger I should add). Thankfully after what felt a long time but probably wasn't, the stridor began to clear, although the feeling of an irritation in the throat lingered for a while. The crowded cafe was remarkably unaffected by my rather terrifying experience.